I purchased my new MacBook Pro on a flight from London to San Francisco in the Autumn. I felt all futuristic as I secured one of the new machines whilst on a poor internet connection, blazing through the sky. 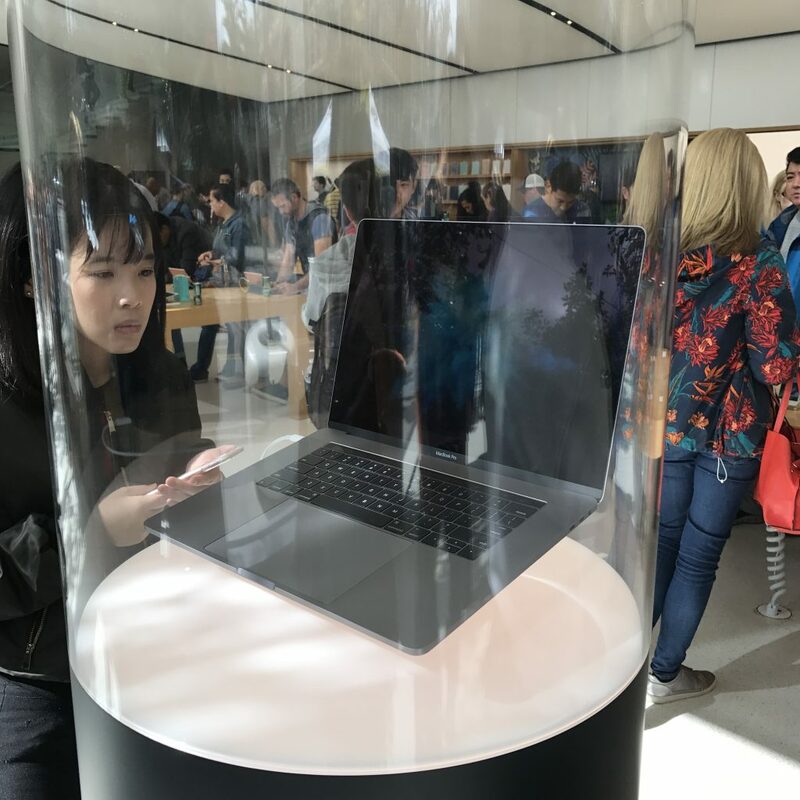 I felt even more nerdy when the Apple Store in Union Square was one of the few stores around the world to house one of the new MacBook Pro’s in a kind of embryonic-tube-thing. You could look, but you couldn’t touch. My inner geek was having a dance party and the biggest decision I had to make was whether to cancel the silver purchase I made on the plane over, in favour of the space grey I had seen in the flesh. Fast forward to having had this machine a good few months and honestly, I wish I hadn’t parted with my money so easily. That’s such a tough pill for me to swallow as I’ve been an Apple Fangirl throughout my adult working-life. Embryonic-tube-birth at Union Square, SF. My previous machine was the 2012 Retina Macbook Pro. I’ll never forget having a conversation, over whisky, with my friend Jessica Hische who bestowed some travel wisdom and said to purchase a full spec laptop and then just have a monitor at home. She was right. I dutifully purchased the highest spec Macbook Pro there was, it came out at around £3250, and I worked that laptop into the ground for 4 years; but even from new – the battery life was horrible and it sounded like it was ready to take off at any given moment. As I talked to fellow designers and developers over the years they all said “ah but that’s the first generation, never buy the first generation anything“. By the time 2016 rolled around, I was overdue an upgrade and I thought the new Macbook Pro’s were enough of an upgrade to warrant a new purchase. After all, it had been 4 years. A lifetime in hardware you use every day. 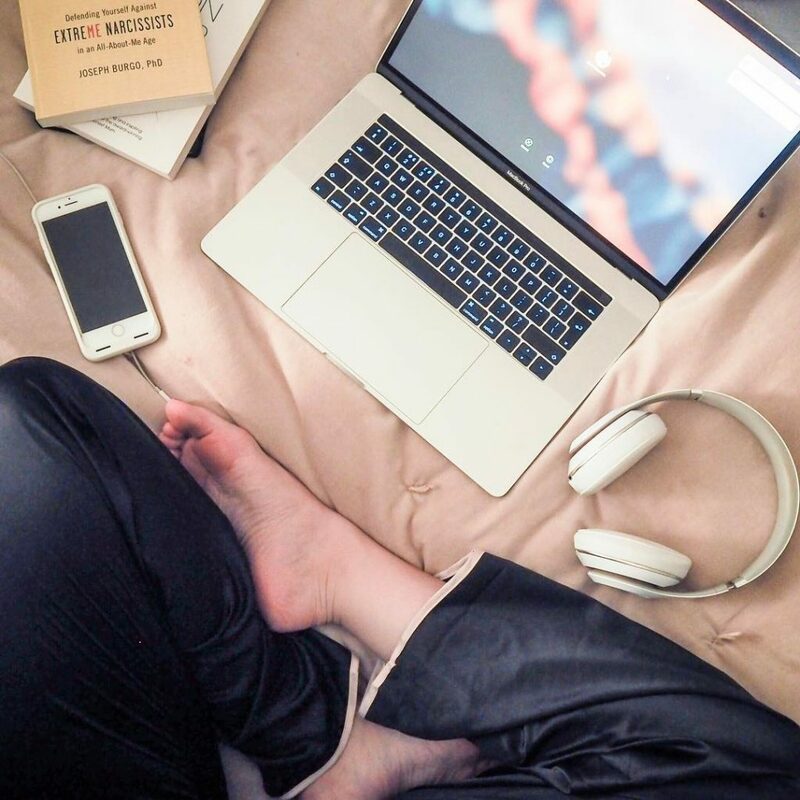 The advice I had gathered throughout the years went out the window in favour of a new shiny and I awaited the arrival of my new laptop. During vlogmas, my laptop arrived. You can see my excitement and initial thoughts as a video here. My friend Brad Frost has also documented his findings this week in his post “Surviving the new Macbook Pro“. They’re strikingly similar which makes me think this isn’t just a fluke. The laptop felt heavier to me than my old Macbook Pro. You’ll notice in the video referenced above, it’s the first thing I mention. For someone who travels as much as I do, and who had got used to the gold Macbook, I was expecting something that felt a little more akin to the MacBook Air (13 inch, I was being realistic!) but this machine feels heavier than my old 2012 model. The Touch ID is great. I love being able to log in with my fingerprint. When I come across apps that also have touch ID built-in, it feels pretty magical. Being able to use your Apple Watch to log in with this machine, is also cool. It was a feature on newer machines but not on my 2012 model. The keyboard. I hated the butterfly keys on the gold Macbook. I felt as though I was really thumping them to get anything to respond. The keys on the new Macbook Pro have been adjusted. However, this is the thing that has caused me the most amount of headache since owning the machine. I’ve had two Genius Bar appointments booked for keys that randomly become sunken into the base and then become unresponsive. Each time I’ve gone to go to the appointment, the keys have released themselves, I’ve been on a deadline for some work and welcomed the fact I didn’t have to travel miles to show Apple Genius’ keys that were no longer an issue. It’s not specific to any one key; it’s happening at least a couple of times per week with keys all across the board. Waking from sleep/logging in. There’s no rhyme or reason to this either. Sometimes I can sit with a blank screen for minutes. I press the return key. I press the power key. I try and rest my finger on Touch ID so that it will log me right in if the operating system is somehow awake. It’s not. I sometimes have to close and re-open the lid multiple times to just get the computer to wake up. Then it sends me through this double login process and is slow to bring back all the applications I previously had open. Touchbar. Awful. When it decides to work, I only use it for adjusting the volume. I’ve used it once to lazily send a laughing emoji in a text message while holding a piece of toast in the other hand. It’s glitchy and randomly half-shows the icons on the bar. Battery life. Awful. Worse than my 2012 model by a long shot. You’re meant to get ten hours out of it. I’m lucky if I get three. The other morning I opened my laptop to check email. It was on 11%. In the time it took me to boil and egg and make a cup of tea it had drained itself and switched itself off. All the dongles. I’m sure having all these USB-C ports will be amazing in the future, but right now, I’ve never carried so many dongles and adapters in my life. I’ve also spent a small fortune on said dongles and adapters just to bring basic functionality back to my laptop that I previously had. No Magsafe charger. This is a real kicker for me, and I noticed that I wasn’t taking my laptop from my office to any other part of the house as often as I did before. The new charger is very rigid, and it’s not as easy to remove, and it’s only a matter of time before it gets yanked off a table by accident. There is no charging indicator on the new one either. I miss the green and orange lights. Honestly? I’m dreading travelling with this machine next week. I don’t think it’s going to last the plane journey of work I need to do. I don’t think it’s going to play nice with the conference systems. I’m worried it’s randomly going to quit my presentation while I’m up on stage and decide to reboot itself. Just as I’m listing these things I’m actually wondering whether to revert to my 2012 model which I still haven’t sold, and leave this machine at home. Long term though, I’m really unsure of what to do. This machine simply doesn’t feel like it’s up to the task of being my work companion for the next four years.